Raise your hand if you're over winter. Here in Chicago, we've been teased with some warm weather, but it's not sticking around. One day it's 60 and sunny and the next day it's snowing. Seriously - I wouldn't make this up. So you guys know I'm a beach babe at heart and this back and forth really gets me desperate for Spring to just be here. 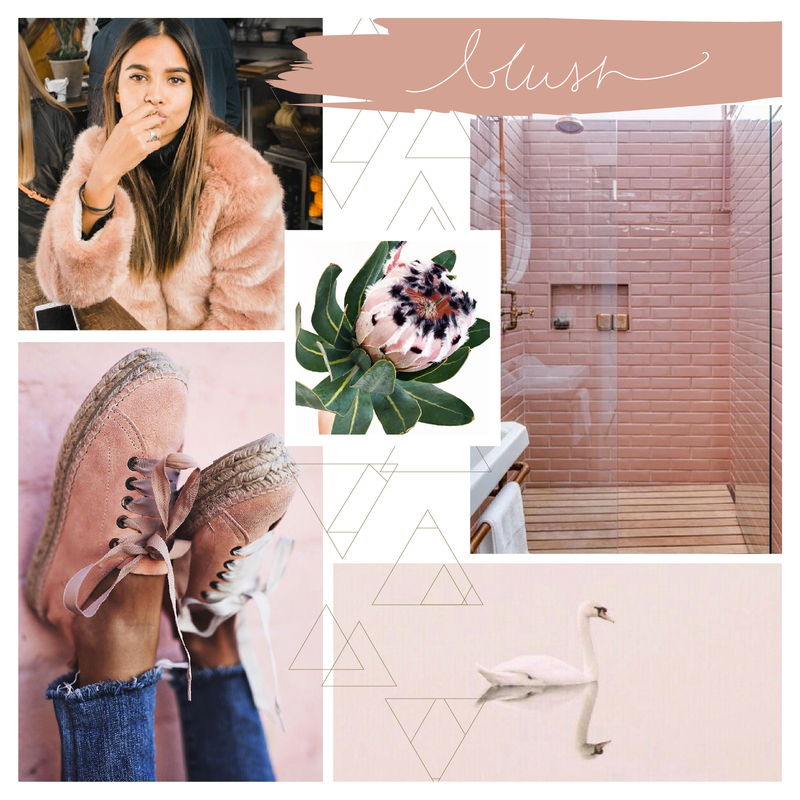 To help pull me through these last few weeks of winter, I've put together a mood board of my current inspo: rich, blush pink. With some depth and warm undertones, this color nods towards the slowly rising temps and seasonal blooms. It would make a great primary brand color or pair it with a metallic like gold or copper for a gorgeous wedding color palette.